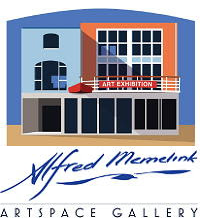 Overlooking Petone Beach, the Alfred Memelink Artspace is one of New Zealand’s a must visit galleries. More than just a gallery, this space is aimed at supporting the local art community by exhibiting a variety of different artists works and providing classes and space for local artists to expand their knowledge and refine their technique. It is a friendly place to visit featuring regularly changing exhibitions of creativity contributed to be over 100 mainly local artists. Watercolours, Acrylic and oil paintings, pastels ceramics textile art, wood work, wood turning, art jewellery, glass art and lots lots more. We welcome you to join us for the opening of Shane Routing's exhibition this Saturday afternoon, his first solo exhibition in the Wellington region. Meet the artist whilst enjoying refreshments and live jazz in the friendly ambience of Petone's seaside gallery. Shane is a contemporary landscape and wildlife artist who is inspired by the vivid coastal scenery and colourful bird life around him. His paintings of New Zealand scenery are often recognized for their lush and beautiful design and strong graphic sense. Crisp and dynamic line work together with bold sweeps of colour, provide striking contrast elements in his paintings that draw the viewer in. The exhibition will be on until Easter Monday, 22nd April and the gallery is open 10am to 5pm daily, Tuesday to Sunday. Tuis in the kowhai tree, oil painting by Shane Prouting as featured in his solo exhibition. Opening Hours: We're open 10am - 5pm, Tuesday to Sunday, (closed Mondays) for your art viewing pleasure. FREE entry and easy parking right outside and on the beachfront. In addition to regularly changing exhibitions, Artspace Gallery features art by over 300 local artists and has a strong focus on paintings and photography of Wellington. Explore the other five exhibition rooms at this gallery and discover what else is new on display. Remember if you'd like a break from the weekend traffic congestion that can sometimes be encountered at the big box retail end of Petone, drive on along the foresehore, you'll find free and easy parking right outside the Gallery or along the sea front.